The best way to carry up to three growlers in your car! Never have your growlers roll around your car while you drive again! 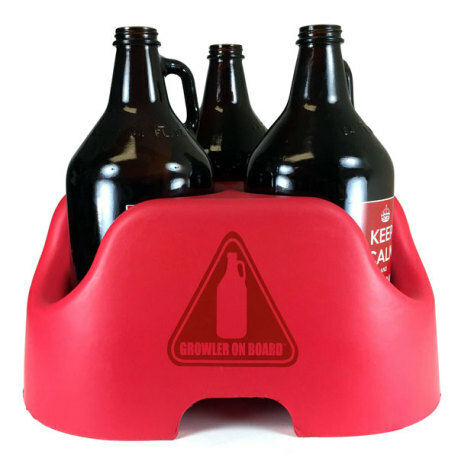 The Growler on Board is a foam rubber stand that accomodates up to three full growlers at a time. This sits comforably on a seat or in your trunk, providing an excellent, stable surface for your precious growlers. 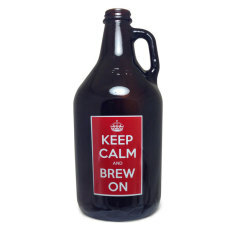 A great gift for anyone who is always filling and transporting growlers! everybody loves this thing! The lady in the liquor store took it to the back for the manager to see, they want to carry it in their store! I can drive home with my growlers and not worry about them turning over or spilling. Never forget your growler again! This is a fantastic way to keep my growlers on the move. They fit in nicely right behind the passenger seat. No chance of breaking!